There are many things you can let slide in life, but not your wedding. 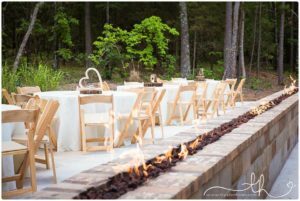 And if you want to celebrate your special day in a place with a lot of character, you can’t go wrong with Johnson County Arkansas. As an area that holds tradition close and captures a natural warm atmosphere, you’d think that anywhere in the area would be just fine. But you will be entertaining guests, which is why you can’t just pick a wedding venue in Johnson County Arkansas at random. It is something you really need to think about and consider, hence the reason for this little article. 1. What Does Your Budget Allow? Always start by looking at your budget before settling on a wedding venue. The last thing you want is to overspend on the venue and have nothing left for the food. Once you can safely say what you are able to spend on the venue, then you can move forward to shortlisting the best options. While seeing pictures of an area or venue is great, it won’t give you the complete setting like you need until you see it. In other words, don’t make a judgement call based on photos alone. Take one or more trips out to all the venues that made the shortlist and objectively compare them. You never know what can happen at the last minute, which is why you should always have a backup venue in mind and ready. This is especially important if you go with an outdoor venue and the weather decides to turn on you. Having a backup place where you can accommodate guests and still continue the celebrations is always a good idea. Yes, it’s important to choose the right venue if you want the wedding to go perfectly. So do your the research and be sure about your choice.